Pig Iron is a dark, unsaturated red. It’s almost a brown but not quite. 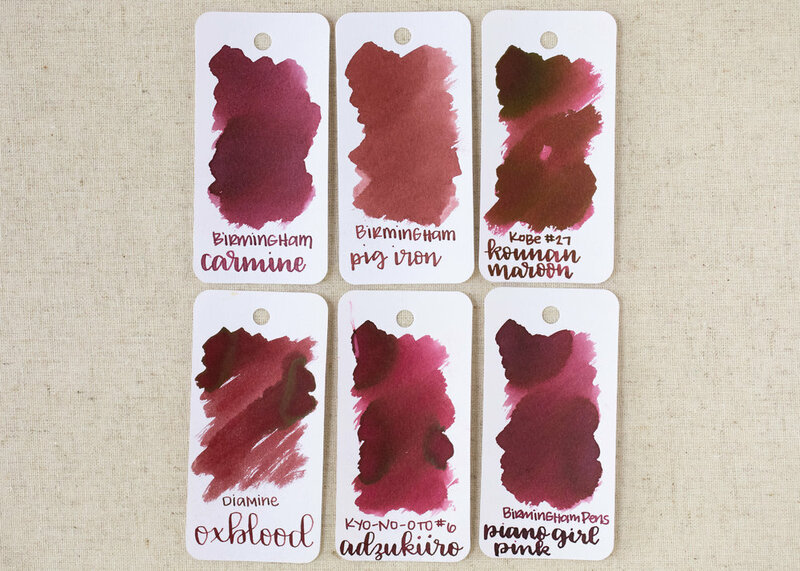 Pig Iron is similar to Diamine Oxblood, but it’s a lot less saturated. Click here to see the Birmingham inks together, and click here to see the red inks together. I used a Lamy 2000 with a fine nib on Tomoe River paper. The ink had a slightly wet, watery flow. Overall, I don’t love how unsaturated it is, and the flow is a bit watery. I just don’t love it.